Anathoth jam is made the way jam should be – from a traditional recipe and packed with real fruit. Made for people who care about what they eat and reminiscent of jam made at home in the kitchen. 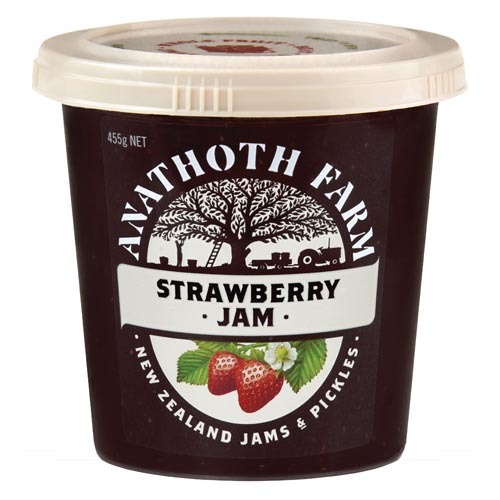 All Anathoth jams are gluten free, we don’t add preservatives, artificial colours or flavours. Strawberries 50%, sugar, fruit pectin & lemon juice to help the set.